The typical sound level when operating a Taber® Abraser (Abrader) and its vacuum system can reach 78dB. Utilizing sound deadening materials, the Taber® Quiet Cabinet can significantly reduce this noise level up to 20%, resulting in a level that is comparable to a standard office environment. 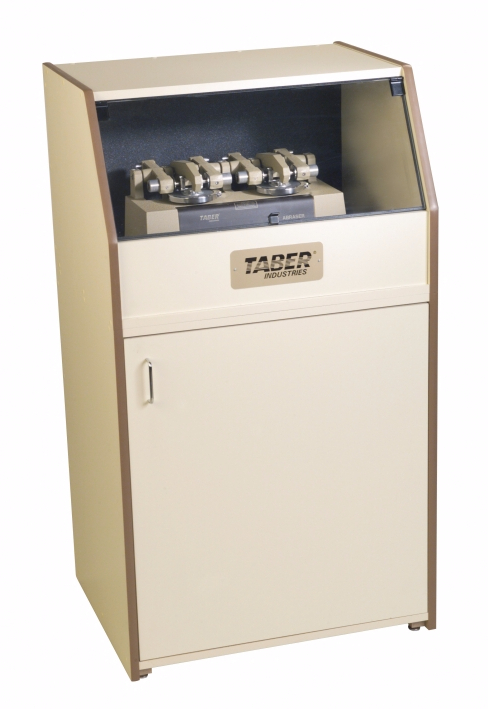 Additionally, it provides a convenient, dust-free workspace for the Taber Abraser (sold separately). 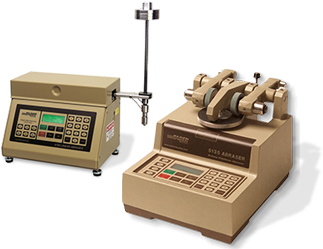 The upper cabinet features a hinged Plexiglas™ viewing window to monitor testing while a detachable front permits easy transfer of the Abraser into or out of the cabinet. The lower cabinet holds the vacuum unit and includes a built-in exhaust system (either 120V, 60Hz or 230V, 50Hz) to provide proper air circulation. Both cabinets are constructed of laminated particleboard for added durability. The Quiet Cabinet can be purchased as a complete unit; top half only; or bottom half only. The lower cabinet exhaust system is available for 115V, 60Hz or 230V, 50Hz (CE marked).